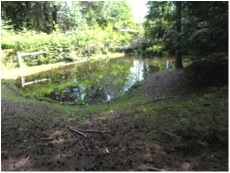 The off-channel pond rehabilitation project on Nash Creek was one of five fish habitat rehabilitation projects completed between 2010 and 2015 under the auspices of the Nile Creek – Qualicum Bay Enhancement Program. As of this writing, September 1st, Nile Creek is heavily populated with returning Pink salmon and has been since late July when those early arrivals made their first appearance. In spite of low water levels, new fish continue to arrive and, by all accounts, 2014 will be the year for a record setting return of Pinks. 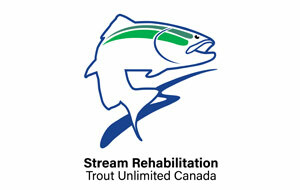 Campbell River uses swimmers and a fish net to count the returns and have done so for many years. They are reporting an estimated return of 1.5 million Pinks vs. last year’s record return of 1 million fish. Good news for sports and commercial fisherman, and for those who just love fresh and smoked fish. 100% of every dollar you donate to Nile Creek Enhancement Society is used for the enhancement, protection and maintenance of habitat for salmon and their ecosystems.